Who can Make Medical Decisions for a Child? Child custody is broken down into two parts, physical custody and legal custody. Physical custody refers to the actual amount of time each parent spends with a child. Parents who have joint custody of their children, for example, would share roughly equal time with them. Legal custody, on the other hand, involves the authority to make decisions regarding the child’s medical, educational, and physical well-being. In most cases, courts favor joint custody, although the determination is primarily driven by what is in the best interests of the child. Unfortunately, even when parents share parental responsibility for a child, conflicts may still arise regarding what is best for the child. 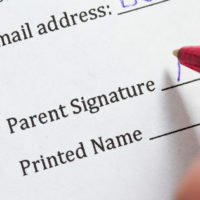 When the issue at hand is medical in nature, these type of conflicts can have serious consequences, so if you share joint custody with your ex-spouse and have concerns about a health-related question upon which you can’t agree, it is important to speak with an experienced child custody attorney who can explain your legal rights and restrictions. How the parents will communicate with the child. Courts will only approve a parenting plan if they deem it to be in the best interests of the child in question. Unfortunately, even when a parenting plan is in place, a child’s parents may have difficulty coming to an agreement about major health-related decisions. In fact, last year a Florida court addressed the question of whether both parents are required to consent to a child’s undergoing surgery before the procedure can take place. In this case, the parties were going through a divorce and had agreed to share equal custody of their two children. Subsequently, the mother scheduled surgery for the removal of her youngest child’s adenoids. The child’s father objected to the surgery and contacted the surgeon to cancel it, after which the child’s mother rescheduled the procedure. The father later filed suit against the hospital for performing the surgery without his consent. Upon review, the court found that Florida law only requires the consent of one legally authorized parent before a child can undergo a medical procedure. However, this holding does not nullify the obligation of two parents who share parenting responsibilities to reach an agreement on major decisions regarding a child’s health or education. 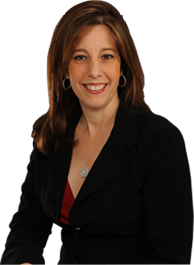 If you live in Boca Raton or Fort Lauderdale and have been unable to reach an agreement with your ex-spouse about whether your child should undergo a certain medical procedure, please call 954-945-7591 to discuss your questions and concerns with experienced and compassionate child custody lawyer Sandra Bonfiglio, P.A. We are eager to help you through every step of your case.